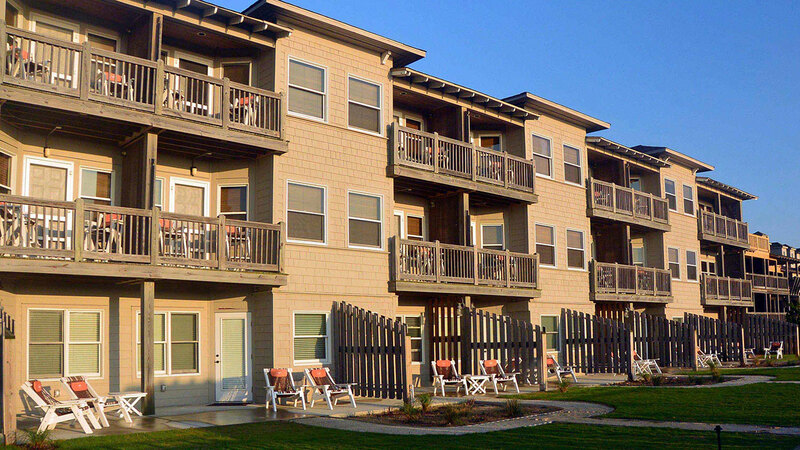 In the town of Duck, the Sanderling Resort is a premier destination stretching from the Atlantic Ocean over to the Currituck Sound. 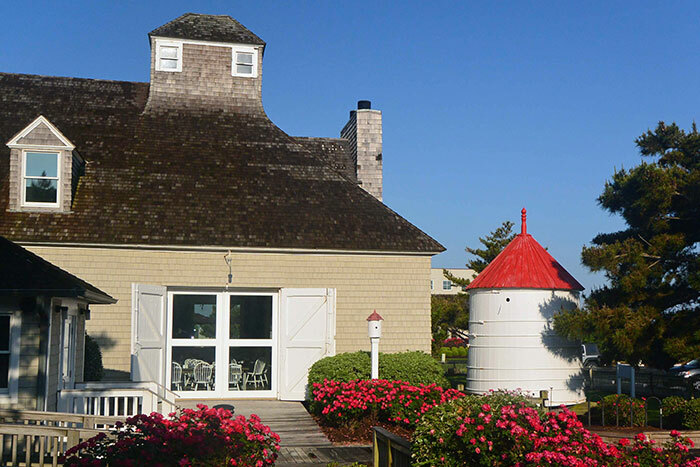 On 16 quiet acres, this resort serves as an ideal seaside playground for those who love being by the sea. Upon our arrival, a heavy rainstorm had us trapped in our car. We decided to sit out the rain, but to our pleasant surprise, two guys with orange umbrellas gently knocked on our car windows. 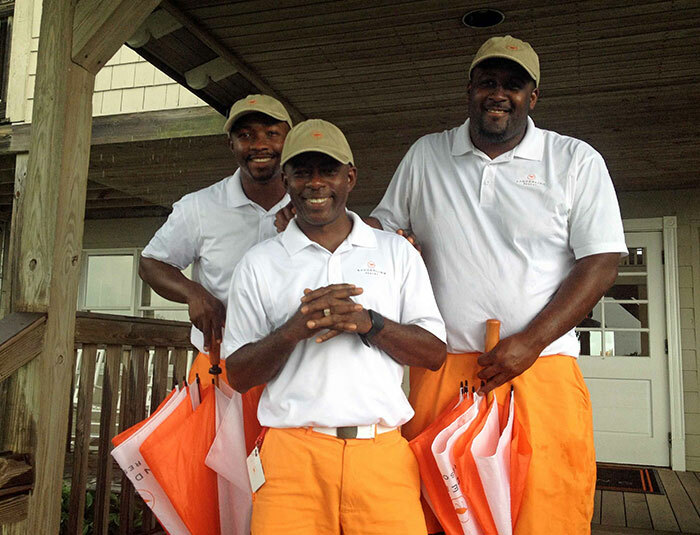 Sporting big smiles, these staff members provided us shelter from the steady rain into the resort lobby. 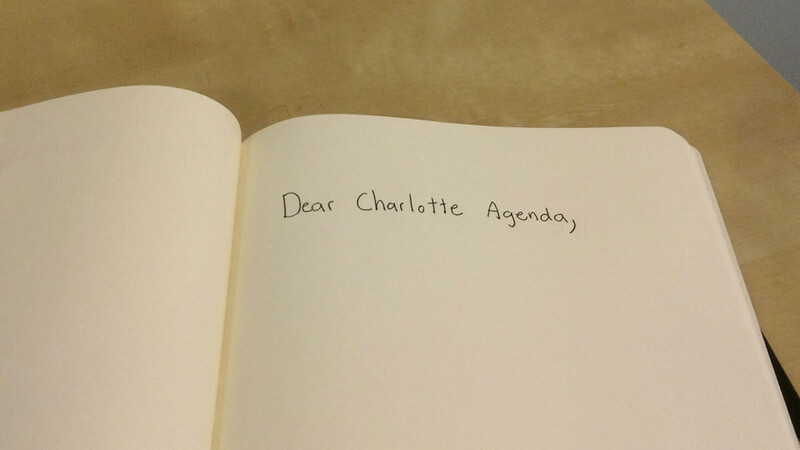 This is the most excellent first impression a resort can give arriving guests. If you are like me, I adore any décor that says beach. A coastal theme weaves itself throughout the resort, but not in an uptight way. Think more like a casual elegance. I checked into a South Oceanside King guest room. The spacious guest room I was given was perfect for my taste and style. It was on the second floor with a balcony with views of scenic dunes. The balcony’s two hammock chairs were a nice place to absorb the natural beauty of the resort. 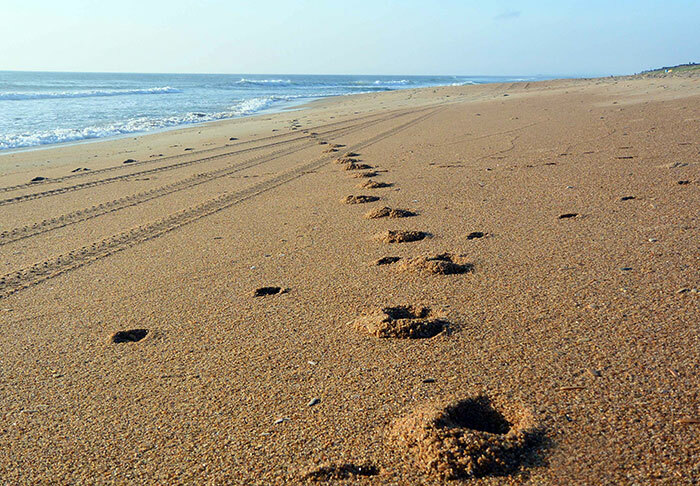 The alluring call to the ocean is what brings most travelers to the Outer Banks. 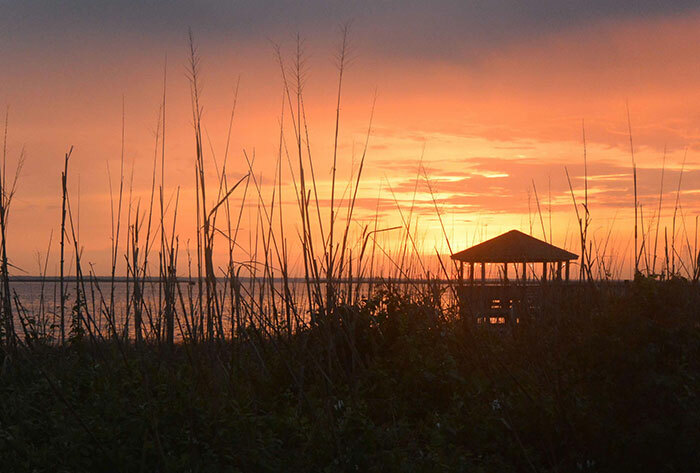 Sanderling’s private beach will not disappoint you. Golden sand crushed under my feet as I made my way to the gentle waves. It’s broad shores, serene environment, and soothing waves made me never want to leave. 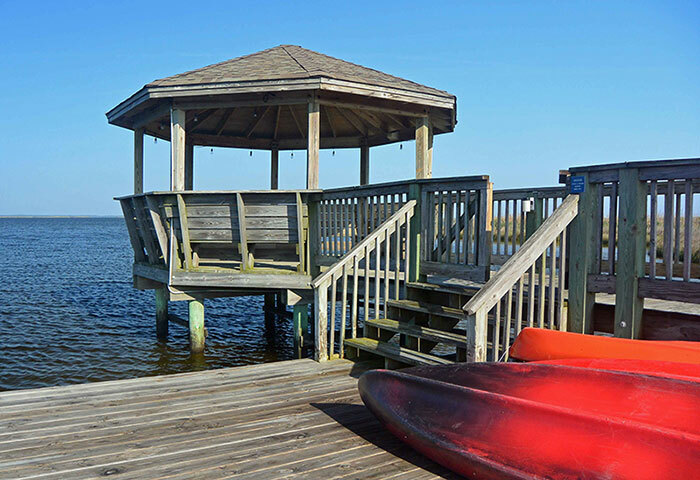 Surfing, kayaking, or standup paddle boarding can be found at Kitty Hawk Kites kiosk, located beachside, on the resort. Off-site activities like seeing wild horses in the Corolla Outback or taking to the sky by parasail can be arranged through the resort’s concierge. You must make time to lounge by the adult only tranquility pool. 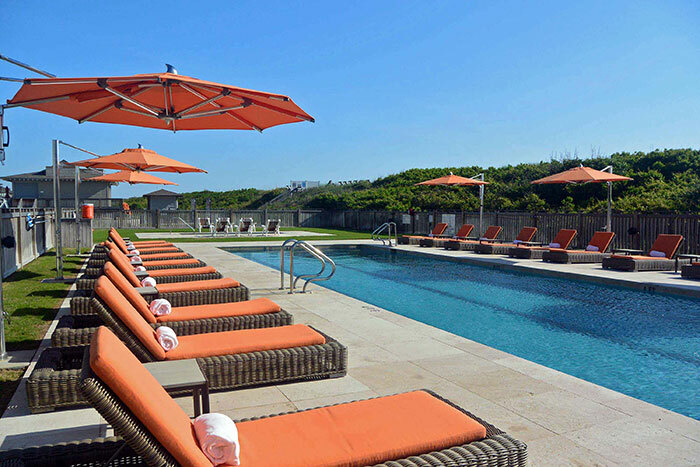 Awash in Sanderling’s signature orange color, the lounge chairs cheerfully called my name. The temptation was irresistible and I found myself planted here for hours. 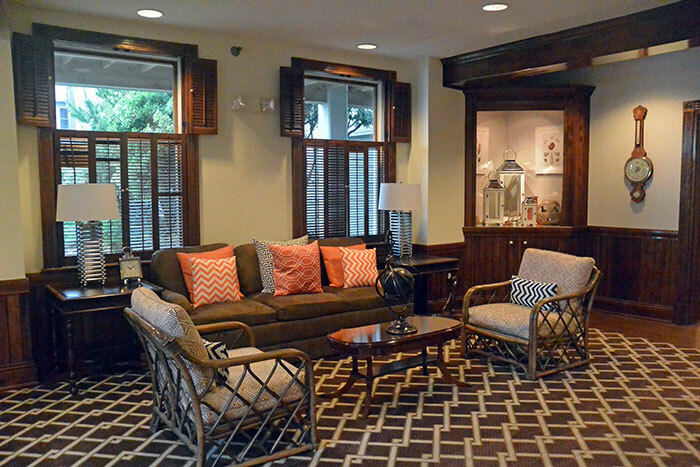 I like resorts that encourage their guests to sit and relax in various places throughout the resort. Staying in your guest room all the time equals no fun. I didn’t have a backgammon partner when I stumbled upon this cozy corner. It’s a great place to play a game and gaze over the action on the oceanside of the resort. On the soundside of Sanderling Resort, Kimball’s Kitchen is an exquisite dining experience, but jackets are not required. It’s an elegant dinner-only establishment serving first class entrees made from the best local organic ingredients. 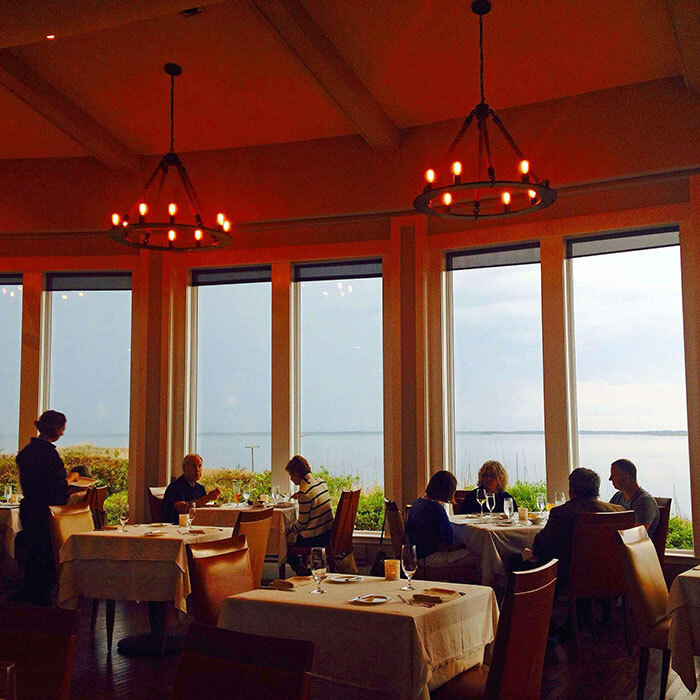 Kimball’s Kitchen is a premier restaurant featuring Kobe steak, oysters, and the freshest seafood. It was a true pleasure spending a fabulous night at this restaurant – one dining experience to remember. 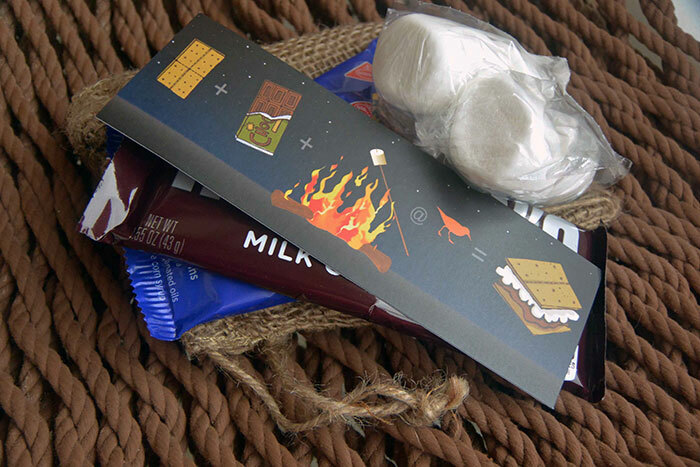 In your guest room, you are given a s’mores kit to bring to the fire pit. 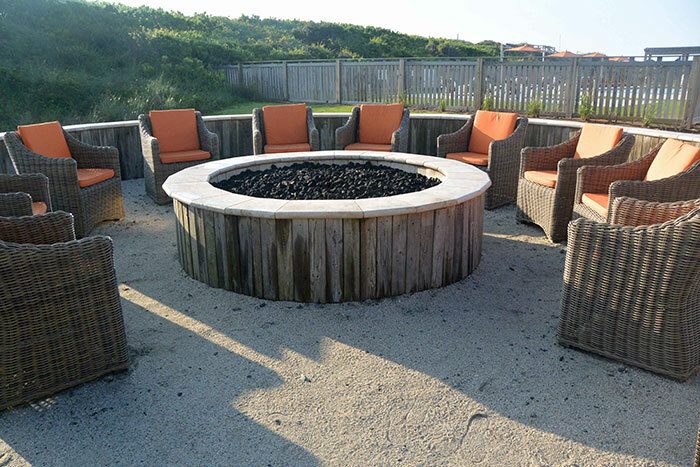 Weather permitting, each night the resort lights their two fire pits for guests to gather and roast marshmallows for your s’mores. Unfortunately, we were unable to have this experience, since it rained earlier preventing proper drying of the fire pits. The bright and airy space of Lifesaving Station Restaurant is a very inviting place to start your day at Sanderling. The nautical-inspired dining venue serves breakfast daily. If you don’t want to get out of your pajamas, then you can always order room service. I loved the location, the professional, yet friendly vibe, and the beautiful surroundings. Plus, I just cherished my time at the tranquility pool. 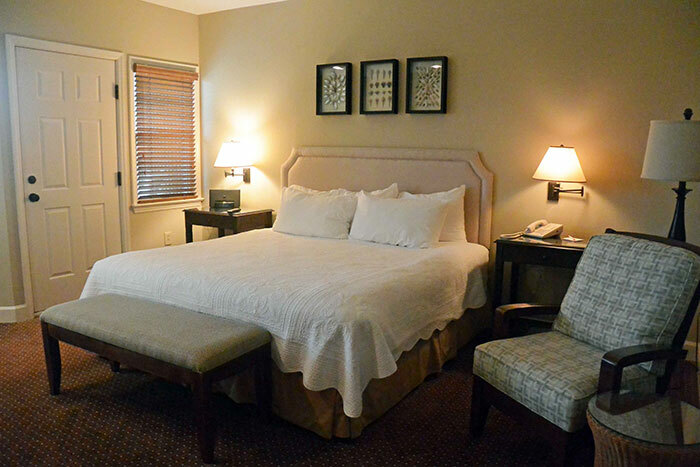 Yes, I would definitely return and I will recommend Sanderling Resort to everyone.